A web site that puts over quality with individuality. 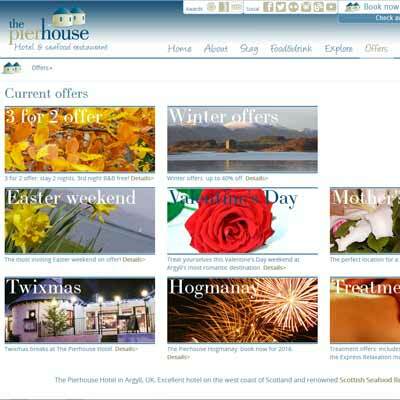 The Pierhouse Hotel is located on Scotland's Argyll coast, midway between Oban and Fort William. 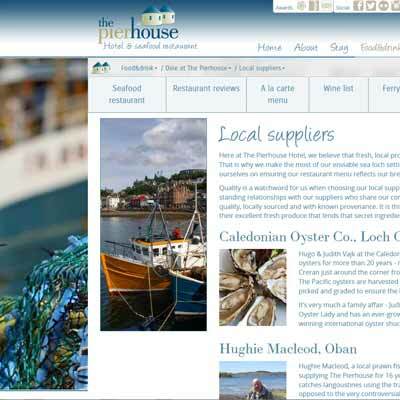 This is a quality, family-run business in an idyllic location with a remote feel but not too far from the major population centres in Scotland and Northern England. 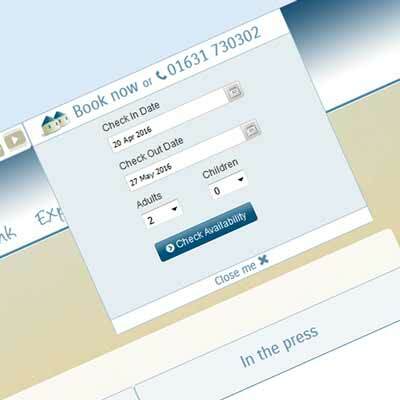 The website is an important part of the business, and aims to express the quality and individuality of the business. 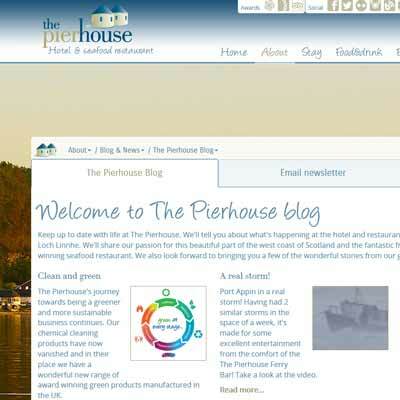 There is extensive background information about the hotel, reviews and a frequently updated blog. With so much content, considerable care has gone into a website structure and navigation that focusses on the needs of potential customers visiting the site. 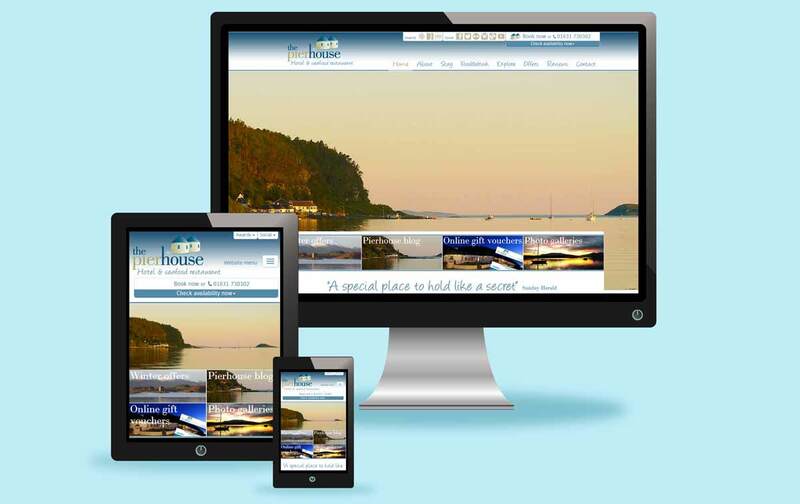 All our websites are designed from the start as fully repsonsive so they work just as well on small screen mobile phones as on large desktop screens. Thanks - we'll be in touch shortly. Thank you - your enquiry has been received. Sorry - there was a problem submitting your enquiry. (c) Sea Pebble Ltd 2016. Portfolio material (c) our clients and used with kind permission. Company SC309813. Registered office: Port Appin, Argyll, PA38 4DE.